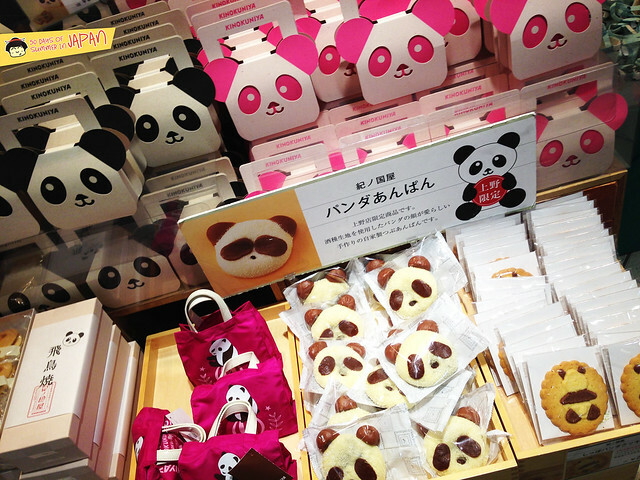 [TOKYO] Panda Sweets & Eats Galore! 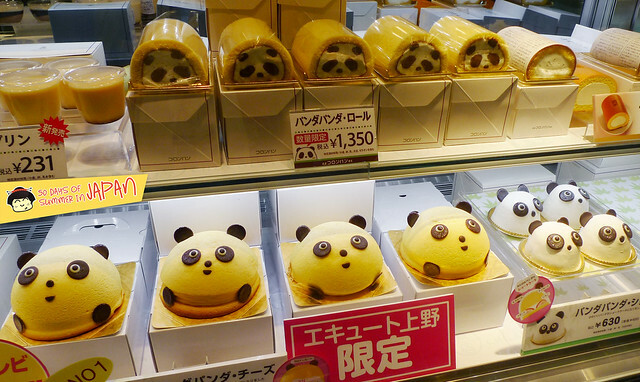 As if Panda donuts weren’t a cuteness overload all in itself, the amount of Panda sweets & eats all around Ueno Zoo is countless. 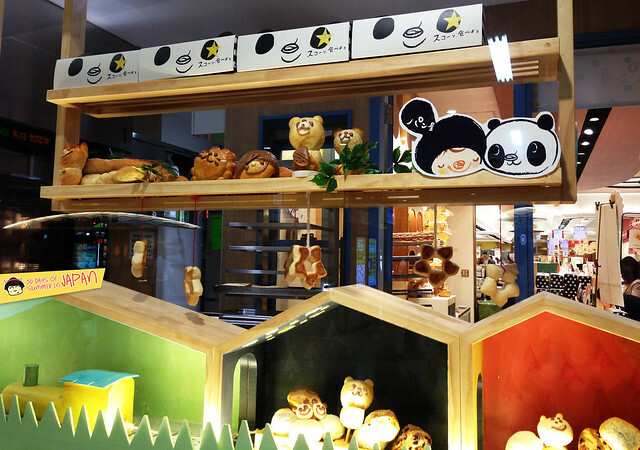 From panda bread loafs, cakes, cookies to rice balls and even panda iced hot chocolate. Cakes in all shapes and sizes. Some way cuter than others. Cookies in all different forms and these macaron look alike. 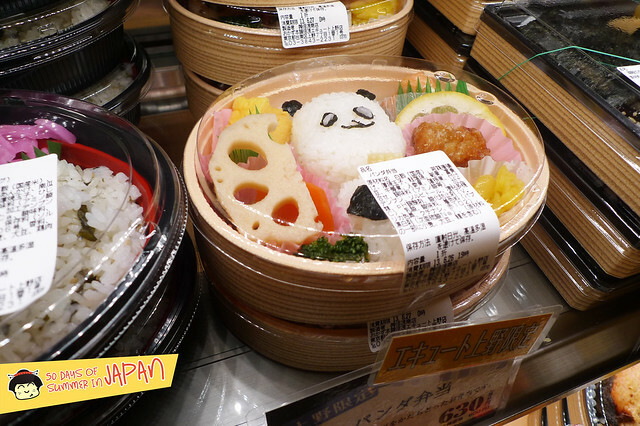 Savory Pandas too. 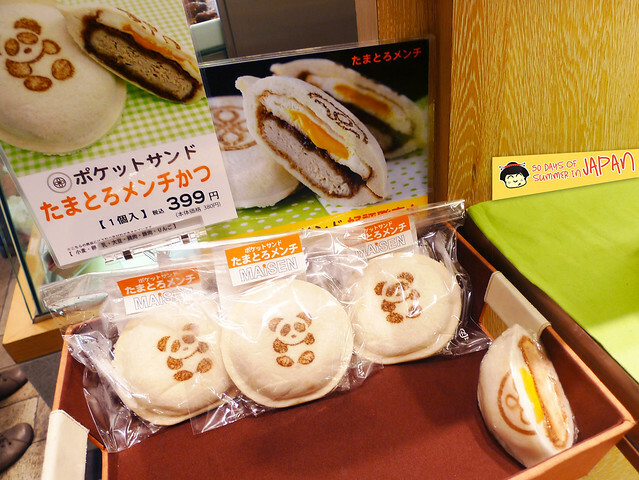 Rice balls and sandwich pockets. People here don’t seem to like crust, just like moi, so the sandwiches always have the crust off. 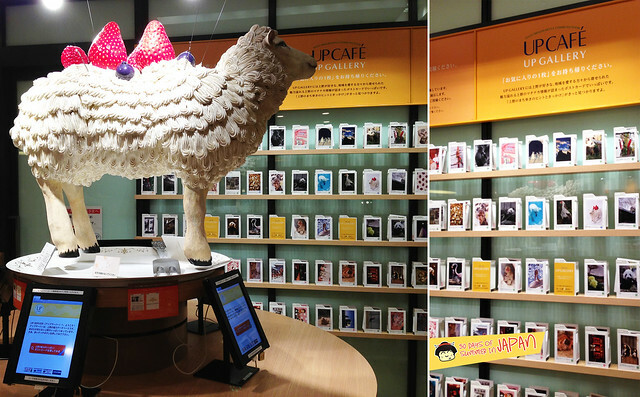 Animal postcards and iPads all around, this cafe also served the cutest hot chocolate. 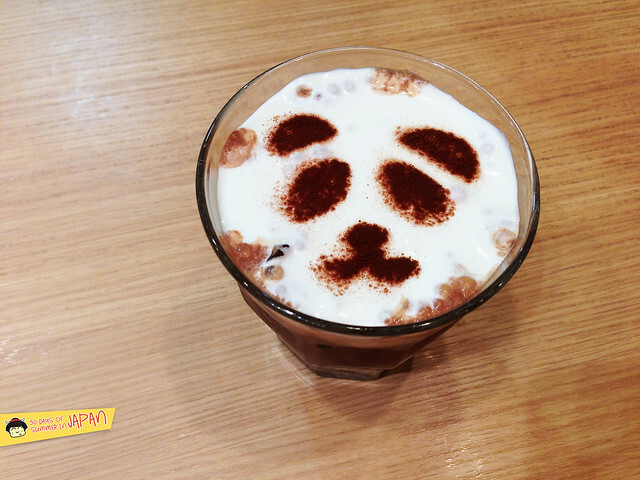 Panda iced hot chocolate. This is definitely an adult version, even though it is so darn cute. 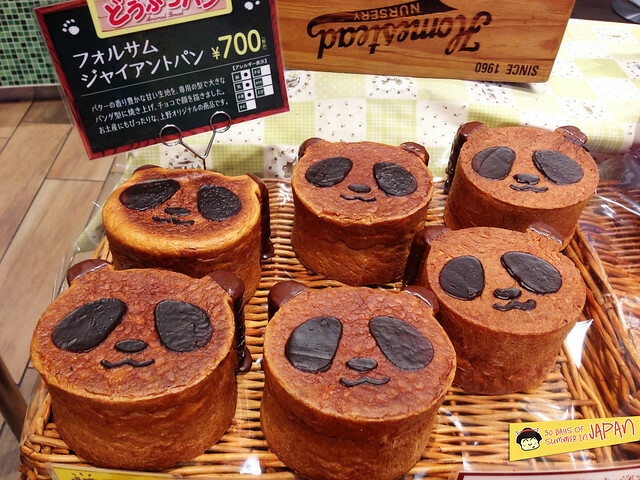 Deep dark rich chocolate with creamy froth on top and that kawaii panda design. 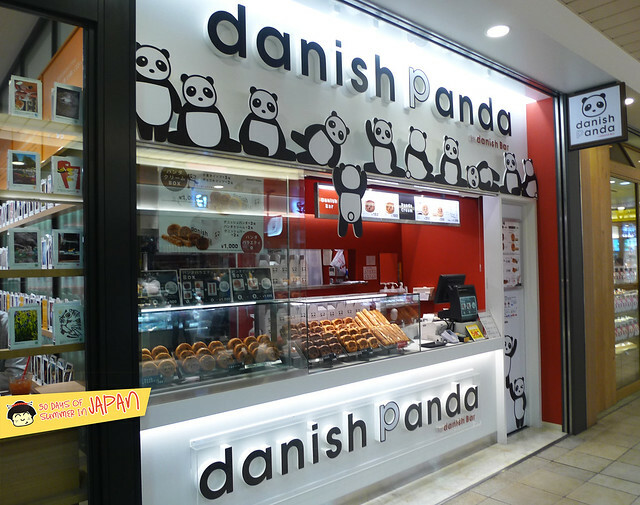 Next to the cafe, there’s even a little shop all dedicated to panda danish! I had too many sweets and couldn’t take another bite. But these smelled pretty good. 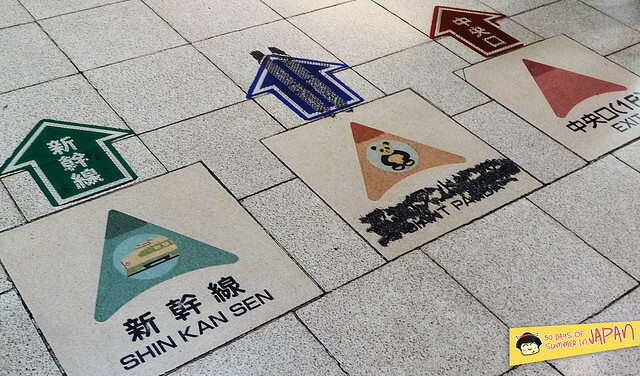 The Ueno station also has panda all over their signage. Inside the Ueno Park, the cafe is a nice rest stop after the zoo and musems. 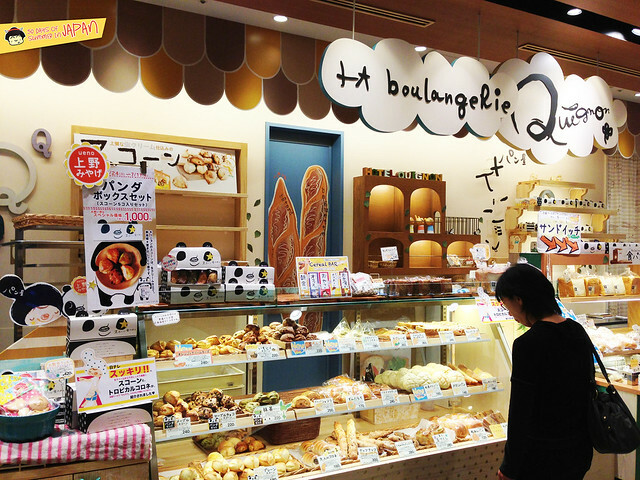 Specially if you’re not into Japanese traditional sweets. 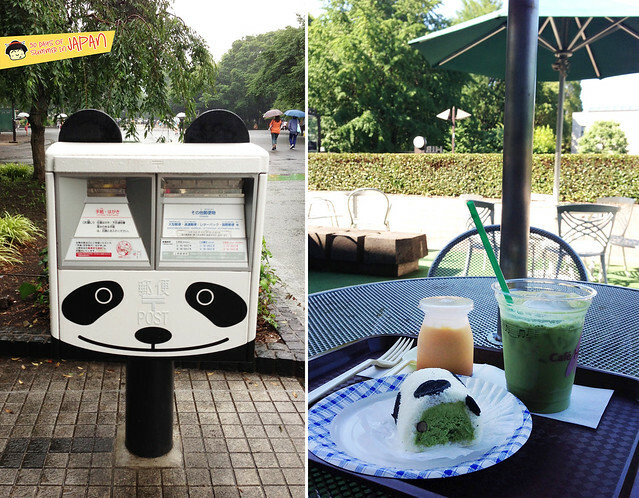 Inside the park there’s also a Panda mailbox. Cute!!! 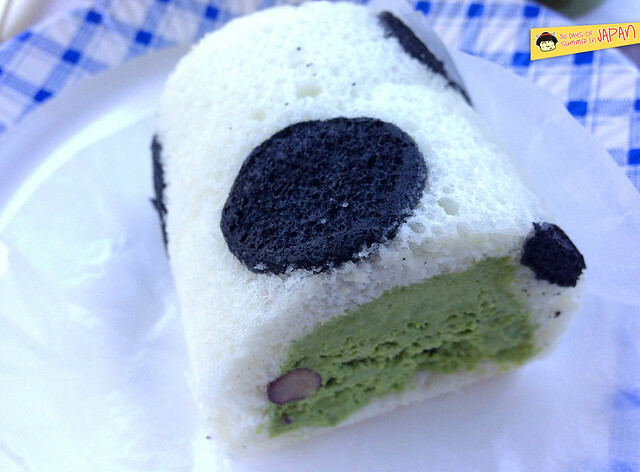 Along with my iced green tea latte, I got their Panda roll cake. 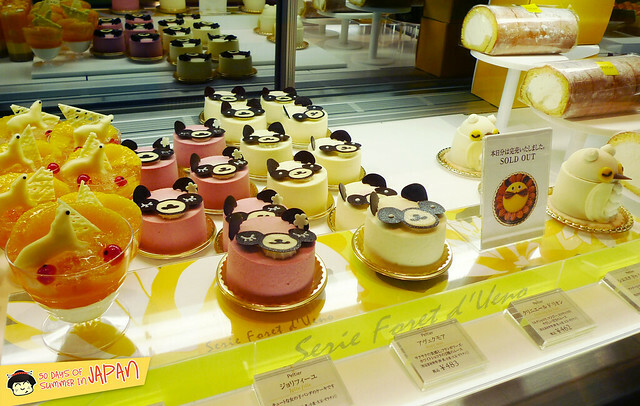 Soft fluffy cake with a creamy green tea mousse filling and sweet red beans. Delightful. 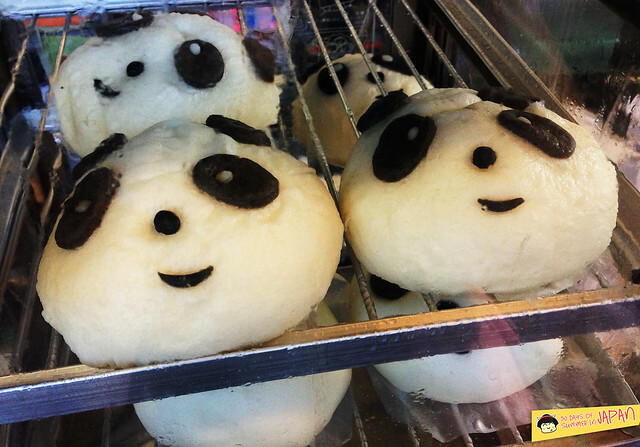 They also have these big adorable baos with different fillings. 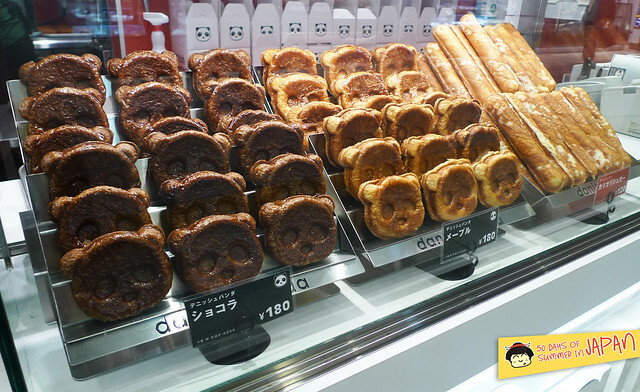 At the other end of the park, as you exit, you’ll find a Lotteria burger joint in a food court building and right next to it, a bakery that has amongst other Panda goodies, this loaf of bread with chocolate. They looked so good, I’ll have go go back and pick one up. 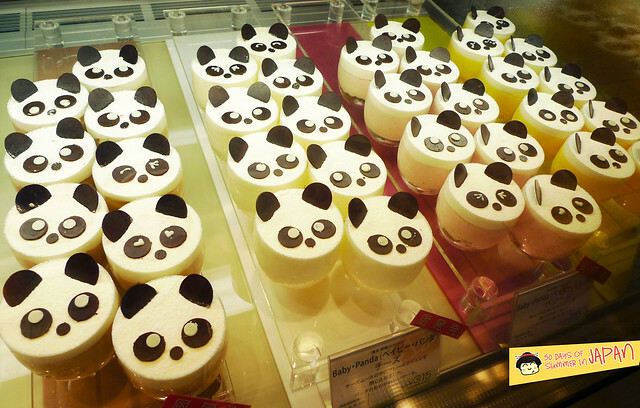 Hope you’ve enjoyed this Panda-licious post as I have. 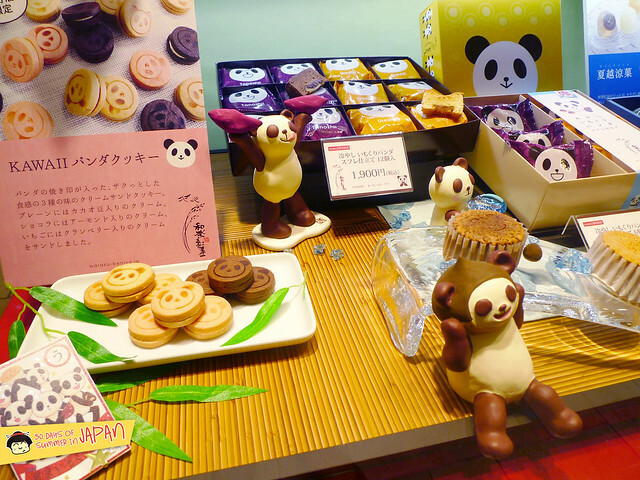 As I’m writting this post, Animal Planet Japan is having a special feature on Pandas. What a cute coincidence.